With key design elements borrowed from time-proven weapons, the kukri knife, machete, and axe, Becker's Machax creation is truly a force to be reckoned with! 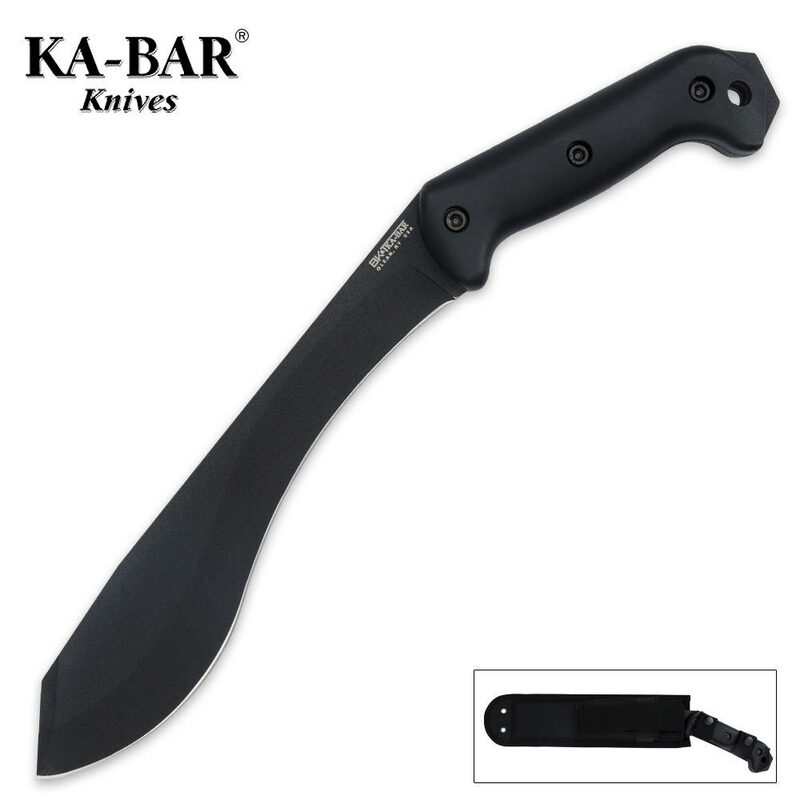 This massive piece is built for tough use and the 1095 Cro-Van high carbon steel blade will not disappoint. With a Rockwell hardness of 56-58 and solid full tang construction, this knife is suitable for clearing a trail, setting up shelter, self-defense, and much more. The steel has a rust resistant black coating and is fitted with tough Zytel handle scales. The blade measures just under 10in. at 9 3/8in., and this knife is 14 11/16 in. overall. Includes a black sheath with belt loop and snap closures. Knife made in the USA, sheath made in China.